OTTAWA - If there are any questions about why Leona Aglukkaq, the soft-spoken Inuk politician from Nunavut, was chosen by Stephen Harper to lead Environment Canada, the Prime Minister's Office is eager to dispel them. "As an Inuk woman, minister Aglukkaq grew up with a cultural connection to our country's proud and vast Arctic," Julie Vaux, Harper's spokeswoman, told The Canadian Press in an email. "She understands the need to protect our beautiful land as well as anyone. The minister is committed to protecting the environment for our families today and into the future." Vaux was even more direct in a response to the Globe and Mail. "The appointment of a minister of the Environment from the North, a region susceptible to climate change, speaks volumes about our government’s commitment to the environment and sustainability." 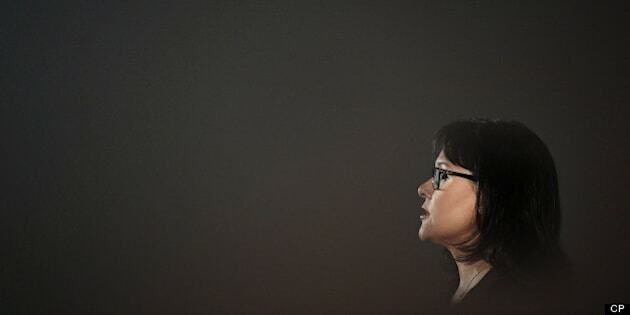 Aglukkaq, 46, was largely overlooked in media coverage of last week's cabinet shuffle, when after more than four quiet — critics would say invisible — years as Harper's minister of health she was moved to Environment. She becomes the fifth Conservative environment minister — sixth, if you count John Baird's two, separate stints — since Harper took office less than eight years ago. Aglukkaq takes over the post at a time when the government is working overtime to convince Americans of Canada's environmental policy credentials in order to ease the approval of the Keystone XL pipeline. The $5.3-billion project, designed to carry bitumen from Alberta's oilsands to refineries in the southern U.S., has been called a "no-brainer" by Harper but is being held up by President Barack Obama over concerns from the Democrat-backing environmental movement. Aglukkaq will also become the fourth Conservative minister to promise greenhouse gas regulations for the oil and gas sector — regulations that were first promised by Baird back in 2007. Aglukkaq's predecessor, Peter Kent, last promised the regulations would be revealed by mid-2013, a date the government has once again pushed off to the "coming months." Insiders say Aglukkaq is hard-working, bright, looks after her constituency and is highly managed from the top. She seldom goes off script and almost never scrums with reporters. Her office did not respond to a request for an interview for this story, but issued a statement shortly following publication. "As an Inuk, who has grown up and lives in Nunavut, I will bring a unique perspective to the portfolio. The protection of the land, water and wildlife is a fundamental principle of the Nunavut Land Claim Agreement. Through this lens, I know the importance of responsible and sustainable development," the statement partially read. Aglukkaq has not distinguished herself as a gifted political communicator, and she has been widely criticized from across the political spectrum for her lacklustre four years at Health Canada. The right-wing Fraser Institute, for instance, has taken her to task for failing to tackle Canada Health Act reforms, while critics on the left have decried cuts to independent health research and a hands-off approach on everything from OxyContin addiction to obesity and sodium reduction programs. Aglukkaq's most notable flashes of political passion have revolved around her aboriginal ancestry. Last year when a United Nations rapporteur delivered a harsh report on food security among Canada's aboriginal communities, Aglukkaq —and not the government's minister for Indian and Northern Affairs —was dispatched to respond. Calling the report's author "an ill-informed and patronizing academic," Aglukkaq told the House of Commons that she had taken "the opportunity to educate him about Canada's North and aboriginal people that depend on the wildlife that they hunt every day for food security." She later fulminated to Maclean's magazine that, "As an Inuk person who depends on the environment where I'm from for my well-being, it's insulting." Aglukkaq also played on her ancestry to shoot down a Liberal MP's question about health care funding cuts for diabetes, suicide prevention and aboriginal health staff. "Can the minister explain to this House why her cuts target the population with the worst health outcomes in Canada, the aboriginal people of Canada," asked Liberal Carolyn Bennett, herself a physician. "As an aboriginal person, I take that type of line of questioning to be unacceptable," Aglukkaq responded. The exchange prompted Anthony Morgan, a commentator on race issues with a law degree and Jamaican-born parents, to question Canada's overly deferential attitudes toward the imposition of race into legitimate public policy matters. "When a politician who is a visible minority or aboriginal person happens to make public decisions or take policy positions that have a disproportionately adverse impact on citizens who share that politician's cultural background, we hesitate and often totally avoid asking legitimately critical questions," Morgan wrote in the Huffington Post. Nunavut's relatively small health care and aboriginal services community is reluctant to speak on the record about Aglukkaq's time as health minister. One researcher said environmental activists are likely to be "disoriented" by having an Inuk woman in charge of Environment Canada, at least in the short term. But a longtime Washington observer discounted Aglukkaq being able to cow U.S. environmental critics with talk of her upbringing. Chris Sands, a Canada-watcher at the Washington-based Hudson Institute, said Aglukkaq will get a fresh hearing in the U.S. Capitol but "if the message is unchanged, the messenger can only get people in D.C. to hear it again, and maybe persuade a few people on the margins." Sands also said the left in the U.S. has a long history of characterizing minority individuals who don't tow the progressive line as sell-outs. "In Canada, it is hard to imagine an effort to delegitimize an aboriginal woman in the same way." Indeed even some of the government's harshest critics, while skeptical of Aglukkaq, are willing to give her the benefit of the doubt. "Her cultural identity is totally based on the land, so we're hoping she will remember where she came from," said Michele Audette, president of the Native Women's Association of Canada, which has had federally funded programs and seats on federal panels eliminated by the Conservatives. "But for the health portfolio we found out that she was really close to the prime minister's values." The Native Women's Association of Canada has already written to the new minister, asking to reinstate the group's seat on federal forums dealing with issues like species at risk and intellectual property. "Yes, she abides so closely with the Harper approach," said Audette. "But also with women, as Inuk and Conservative, maybe she'll be able to bring a new wave or fresh wind to say, 'Let's do things differently.'" Note to readers: This is a corrected story.An earlier version included an incorrect reference to Leona Aglukkaq as an Innu woman.